Allow students to use fidget toys, doodle, or knit. Students can still pay attention and may be able to focus better when their bodies are moving. For some students, working standing up, sitting cross-legged on the floor, or lying on the floor maybe more conducive to learning than sitting feet flat on the floor at a desk. Teach students the expected behavior first (model it, have them practice multiple times) and be clear about expectations for work completion. Power struggles often occur after the request of a teacher. Make your redirection statement/statement of expectation (which students will already know because of your explanation, modeling, and teaching of classroom rules and consequences). “You know what is expected. Take your time to compose yourself and then take care of X so you can rejoin our learning.” Avoid eye contact, look away, and walk away. Give the student a moment to regain composure. If a behavior begins to escalate, seating yourself (or a classroom support person), near students who are struggling can often be enough to get them back on task. Request extra staff support or volunteers (adults, older peer mentors) for the classroom to sit within close proximity of a student to improve behavior. A token economy rewards good behavior with tokens that can be exchanged for something desired. A token can be a chip, coin, star, sticker, or something that can be exchanged for what the student wants to buy. Token economy systems are one of the most effective ways to reduce behavior problems and to motivate kids to follow the rules. When a token is given, it is important to pair it with verbal praise. Verbal feedback should be timely, positive, and specific to the positive behavior. Token economies work well when there are a variety of reinforcers to reward positive behavior. What will motivate students? To compile a list of rewards, a teacher will want to consider the interests of the class and perhaps even ask the class to brainstorm ideas. Do they need to be rewarded on a more consistent/frequent schedule? Students who do not respond well to the classroom token economy system may need a different reinforcer or may need to be recognized and encouraged more often. What is reinforcing to one group of students may not be reinforcing to another. Contingency contracts can be developed for a single student or a group of students. A contingency contract is an agreement between a student or group of students and teacher, which outlines a specific behavioral expectation. The contract includes a menu of reinforcers. 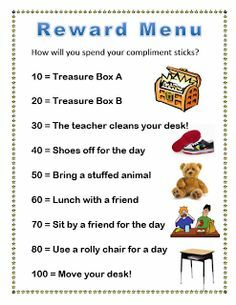 When the student meets the expectation, they receive a reward/reinforcer. If the goal of the group contingency is positive peer interactions, then the group receives a reinforcer when individual students make a positive comment; in this way, students are supporting each other to behave appropriately. As an example, every time a student makes a positive comment to another student, the teacher puts a check mark on a chart. When 20 positive remarks have been made by the group, 20 minutes of free time is earned. Working with your students develop a sustainable school and classroom culture that is conducive for learning and fosters a climate of acceptance, respect, and high expectations. What behaviors will represent and support those rules school-wide? In the classroom? On the playground? In after-school extra-curricular activities? Create a Rules-Within-Routines Matrix. This matrix will specifically outline what each expectation looks like across environments. Engage the students so they are participating in the development of the expectations. This is much more effective than having the rules come as a directive from the principal or teacher. Begin the year by teaching, modeling, and practicing those behaviors. Students will need continued modeling and practice throughout the year, especially after school breaks and holidays. Conduct practice as just that, practice – not punishment. TIP: Teach, model, and practice transitions within the class (from subject to subject) and within the school (from place to place), as transitions are often the times when misbehavior occurs because of perceived downtime and unclear expectations. Modeling includes a demonstration of the desired behavior (by teacher or peer) and shows step-by-step what is expected for a specific learning activity, task, or social skill. Modeling is most effective when the model is somehow connected to the student. For example they look up to their peer, the student is the same gender, or is in the same social group. Video modeling is a well-researched strategy. The student watches a video of the skill or behavior they are working on and imitates that behavior. The visual models enhance student understanding and are highly motivating. Video Modeling has been shown to be especially effective when working with children with autism on skills such as daily living, communication, social skills, academics, and reducing aggressive behavior. The use of videos is also more likely to help generalize the skill to different environments, as well as maintain that skill in the future. Posting a schedule allows students to know the expectations for the day, helps to develop their time management skills, and alerts students to potential irregularities in the day. Denton, P. & Kriete, R. (2000). The first six weeks of school. Turner Falls, MA: Northeast Foundation for Children. By providing meaningful instruction and learning activities, student learn to use their critical and creative thinking skills. ​Differentiate how students receive content, how they engage in the learning process, and how they demonstrate their learning via a product, following the principles of Universal Design for Learning (UDL). Using choice can motivate students and is a powerful tool for differentiating instruction. Choice allows students more control of what they are learning and how they are learning. In addition, choice increases student engagement and motivation. It results in a classroom that is focused on the co-construction of knowledge, instead of relying on the teacher as the source of all knowledge. When working with a student who is resistant to work completion, giving them choice can have a positive impact on the on-task behavior. Make sure the choices are feasible and fit the activity/assignment. Choices should be limited to 2 or 3. Keep students accountable and on task by having them identify what they are working on. This could be as simple as a post-it with the tasks written in order in which they are to be completed. Teach time management and task organization. This will help students learn to make decisions. Looking for some ideas on how teachers have implemented choice in their classrooms? When students respond to group academic content, they are actively engaged and more likely to learn material being taught. Students can respond as a group by displaying 'response cards' which display their answers to a teacher question or academic problem. These activities can transform the learning in your class. In addition, response cards can be used as an assessment, to see what learning has occurred and what instruction still needs to occur, and with whom. Learning is a social act. When teachers and students can create knowledge together a more productive learning environment is created. Think about ways you can include student voice and student choice in your curriculum. Picture response cards can support learners who rely on visual input for understanding, including pre-readers, struggling readers, and English Language Learners. Response cards help engage all students as the entire class is responding to each question, instead of just one child per question. Gauge understanding by asking students to show a thumbs up if they fully understand, or a thumb to the side if they are still unclear. This also provides students some anonymity and autonomy with their response. Bender, W. N. (2012). Differentiating instruction for students with learning disabilities: New best practices for general and special educators (3rd Ed.). Hall, T. E., Meyer, A., & Rose, D. H. (Eds.). (2012). Universal design for learning in the classroom: Practical applications. New York: Guilford Press. Off-Task Behaviors are defined as physical, verbal, or passive behaviors that result in students not attending to or engaging in teacher instruction, class activities, or assignments. Physical and verbal off-task behaviors interfere with teacher instruction and the learning of all students within the classroom, not just the achievement of the off-task student. In addition, behavior problems negatively affect teachers and students: Behavior problems in the classroom are often cited as a main reason teachers leave the profession, and misbehavior has been identified as a predictor of student dropout. Physical off-task behaviors include fidgety behaviors, moving around the classroom, and creating noise with objects. Verbal off-task behaviors include speaking out of turn, calling out, and yelling. These overt behaviors are problematic because they directly interfere with the teacher’s ability to deliver instruction and potentially disrupt the learning of all students in the class. Passive off-task behaviors may include a general inattentiveness, such as putting one’s head on the table, falling asleep, and delaying the start of an assignment or not completing class assignments and tasks. Passive behaviors interfere directly with that student’s learning; however, because these behaviors do not interfere with the learning of other students, this behavior may go unnoticed by teachers or even be purposefully ignored so instruction may continue. Requires that a class be divided into teams, who work towards displaying appropriate behaviors and thereby earning points. Teams receive points by displaying the appropriate behavior and receive a “foul” if an individual within the team displays the identified inappropriate behavior. The winning team is rewarded at the end of class and also earns a token towards a larger class reward. As a class, identify desired behaviors (within varied learning situations: whole group, small group, peer work, or individual work). Model, demonstrate, and role play to ensure student understanding. Use of Rules within Routines Matrix may be effective and may help with generalization to other classes and settings. Post the rules of the game. Divide the class into equal teams (3-4, depending on class size), and have teams sit together. Review established target behaviors before each installment of the game. Award points appropriately and consistently. The behavioral expectations among students may vary; improvements in behavior should be noted and awarded on an individual basis. Call “foul” when inappropriate behaviors are demonstrated, and record the foul for that team. At the end of the class (or other designated time), the winning team will have earned the most points for the identified appropriate behaviors, as well as receiving a minimal number of fouls, without going over a designated number of fouls (3-5). Do not identify this number, so students are motivated to continue behaving appropriately. For example, if one team was receiving many fouls, other teams may choose to behave inappropriately, but not more than the other team, in order to earn the reward. When Off-Task Behaviors escalate to forms of verbal and physical aggression further intervention is needed. Verbal aggression includes comments in spoken, written, or drawn format (such as mean-spirited teasing, criticism, and threats) intended to hurt another individual by making them uncomfortable, embarrassed, afraid, or intimidated. Verbal aggression may be an ignored and under-reported problem. Because the shame associated with being victimized is strong, many students will refuse to discuss or report it, even to their families. Other students who witness an incident may not speak out of fear of becoming targets themselves. Physical aggression is behavior causing physical harm towards others. Examples include hitting, kicking, biting, using weapons, pinching, scratching, spitting, throwing objects and property destruction. ​Instead of sending students out of the classroom, the following Tier 2 interventions are designed to empower teachers and students by providing instruction and support. The goal is to maintain a community of learning for all by increasing on-task (appropriate behaviors) and decreasing off-task behaviors. Self-Determination/Self-Monitoring - This strategy teaches students how to identify the behaviors they want to exhibit and provides a means of tracking their progress towards that goal. Just as teachers are responsible for teaching reading and math, teachers also need to teach appropriate behaviors. And just as we do not expect to have one session with a struggling reader before we see success, we need to be aware that behavioral changes will also take time. The following interventions require time to which takes away from instructional time. This may feel like a waste of time. However, the opposite is true: when time is spent teaching students appropriate behaviors, this actually increases the amount of time the entire class is engaged in instruction. If time is not spent teaching students appropriate behaviors, the problematic behaviors continue. Students are often removed from class, missing instruction and falling behind academically. Pre-correction is a research based practice that increases appropriate and on-task behaviors and decreases unwanted behaviors. A teacher explicitly states the desired behavior(s) before a task. This simple strategy is effective across ages, school settings, and ability levels. The art of pre-correction is to anticipate the behaviors that may occur and review the expectations of the task in a clear and positive way, prior to engagement. Colvin, J. O., Sugai, G., Good, R., & Lee, Y. (1997). Using active supervision and pre-correction to improve transition behaviors in an elementary school. School Psychology Quarterly, 21, pp. 262-285. ​Faul, A., Stepensky, K., & Simonsen, B. (2012). The effects of prompting appropriate behavior on the off-task behavior of two middle school students. Journal of Positive behavior Interventions, 14(47), pp. 47-55. doi: 10.1177/1098300711410702. This strategy has been found to increase on-task behaviors and decrease off-task ​behaviors. This intervention is most effective for students who are misbehaving to get attention. The effectiveness of this strategy may be due to the praise students receive for on-task behaviors and the assistance they receive through redirection to engage in appropriate behaviors. Set alarm to vibrate/signal at chosen designated time (every 4-5 minutes, depending on the severity or obtrusiveness of the behavior). Repetitive behaviors can either be vocal or motoric. These behaviors seem to lack a social function or motivation. There is evidence to support that reducing repetitive behavior in students can increase engagement and communication skills of the student. Self-Monitoring with Rewards - This strategy can be used with students who engage in repetitive verbal behavior, that seems to serve no communication function. The student is taught to identify “quiet” vs “noisy” behavior. Student is given a “quiet” visual reminder, and records whether or not he/she has been quiet during the time interval. Student receives rewards for reaching a goal percentage of quiet intervals. This strategy can be used for either vocal or motor repetitive behavior. When the student engages in the repetitive behavior, the teacher gains his/her attention by calling out the student’s name in a neutral tone. If the behavior is vocal, the teacher then follows up with a series of questions in an attempt to elicit a response that may be aligned with individual interests (“How old are you?” “What is your favorite season?”). If the behavior is motor, the teacher may request a verbal or motor response (“Touch your nose.” “Stand up.”). This intervention may be appropriate for students who spend their free time engaging in stereotypic behaviors and disengaged from toys and books. Students are taught to interact with toys and books through a structured activity which includes rewards. This has been shown to lead to more book interaction and toy play during free time, and less repetitive and passive behaviors. A close look at course grades, failures, and attendance in the freshman year. Retrieved from Consortium on Chicago School Research at the University of Chicago website: https://consortium.uchicago.edu/sites/default/files/publications/07%20What%20Matters%20Final.pdf. Hintze, J. M., Volpe, R. J., & Shapiro, E. S. (2002). Best practices in the systematic direct observation of student behavior. Best practices in school psychology, 4, 993-1006. Shapiro, E.S. (2004). Academic skills problems: Direct assessment and intervention. New York: Guilford. The severity of elopement may vary from a milder version (running from classroom) to more extreme (leaving campus or otherwise being out of sight for an extended period). To escape something or somewhere non-preferred. If the student is eloping to get something or somewhere preferred, it may be that the student does not have the social communications skills necessary to get permission or notify someone. If the student is eloping to escape something or somewhere non-preferred, it is likely the student does not have the social communication skills necessary to voice their needs. ​​This intervention for handling running away/elopement is useful for students who have an aversion to a specific place or activity (ie. PE class, assembly), and therefore elope from those environments or actively resist entering certain locations. Students may become agitated or frightened merely by approaching these locations, and the repeated exposure leads to a de-sensitivity to the specific settings. The first goal is to get the student to enter the setting, and eventually to participate in the activity within that learning environment. To slowly support them in reaching specific distance goals along the way (ie. 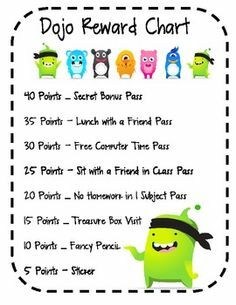 half way to PE class, ¾ of the way), and rewarding them for doing so with a reinforcer (sticker, gum) and verbal praise. The distance is gradually increased (based on success), until the student is able to enter the environment. The goal then moves to participating and completing the expected tasks within the learning environment. ​This intervention requires additional staffing to support implementation. ​Functional Communication Training (FCT) is a well researched strategy that teaches students specific communication skills in order to meet their needs; essentially the elopement behavior is being replaced with positive communication skills. The student can make their request verbally (requesting an item or break) or non-verbally (pointing to the desired item or activity, using a cue card or a previously agreed upon sign or symbol, or using a Picture Exchange Communication System [PECS]).